For the past 5 months I have been looking into the area of remote workers…I have learned much and I know I have only begun to scratch the surface. So, as summer comes to a close I want to hit pause and reflect on what I have gleaned so far. Remote work is alive and well across all industries, in all sizes of organizations from start ups to those that are well established. Remote work is not a ‘fad’…it’s here to stay and will only grow in it’s reach and impact. Many reasons exist for people to choose this form of work: freedom, flexibility, increased productivity, and greater opportunity for creativity to name a few. 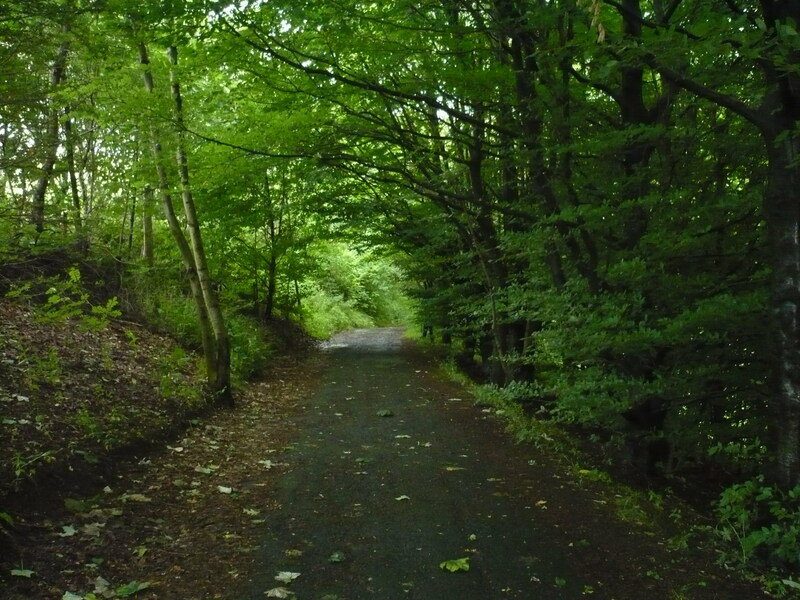 Unsure of the destination, but the journey is delightful! There are also challenges inherent to working remote: limited communication, lonliness, poor or limited technology, time management, self discipline, focus …however, each can successfully be overcome. Trust is the key ingredient that will make or break a successful romote working arrangement. Communication needs to be intentional and customized to each situation. Face to face interactions still need to happen, even if only once every 6 months. Distributed vs co-located work arrangements does not necessarily mean organizations will save money…that can’t be the motivation. Organizational fears that remote workers will slack off is unfounded; research actually shows the opposite is true…remote workers have a tendency to over-work. 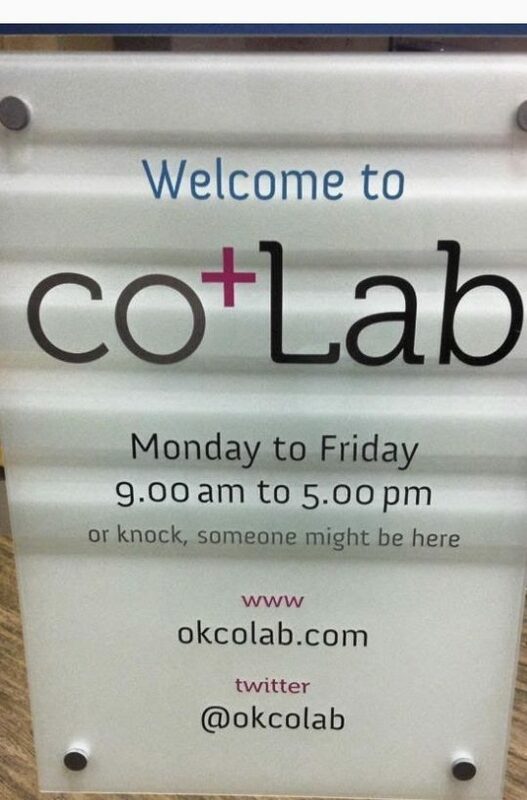 Great locations like Co-Lab in Kelowna are available around the world so that remote workers (and those amazing digital nomads) have a place to connect and collaborate. The resources available on this topic are excellent…people continue to learn, to perfect, to mentor, to share, and to dedicate their efforts to support others entering into this exciting world of remote work. 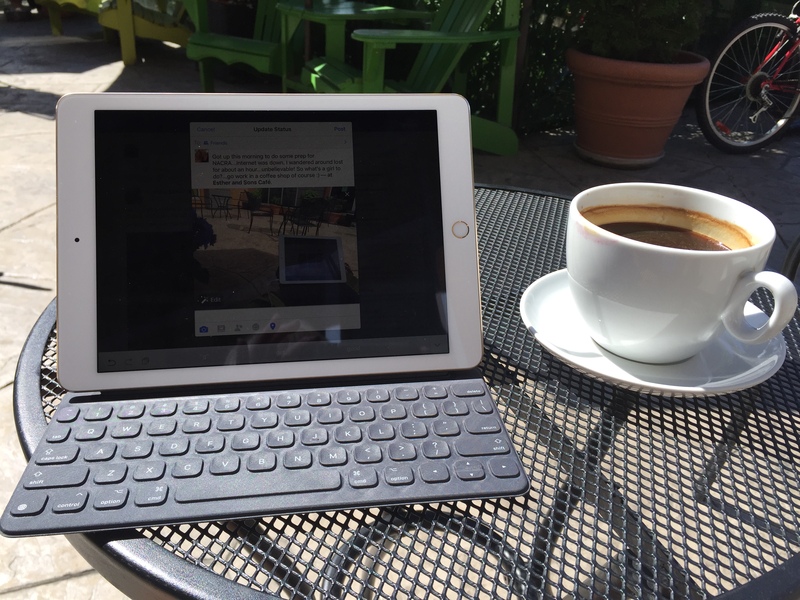 Working remote is not for everyone…and that’s ok. So where do I go from here? I keep learning, keep experiencing, keep asking questions, and do whatever I can to share what I learn with those who want to know. This entry was posted in Digital nomad, Reflections, working remote, Working remotely and tagged business, creative, development, leadership, Remote, Trust, working remote. In my previous blog, I discussed how trust is a valuable and oft times rare commodity that doesn’t happen by accident. Rather, it is the result of intentional and focused effort, and a willingness to dedicate time to create such relationships. 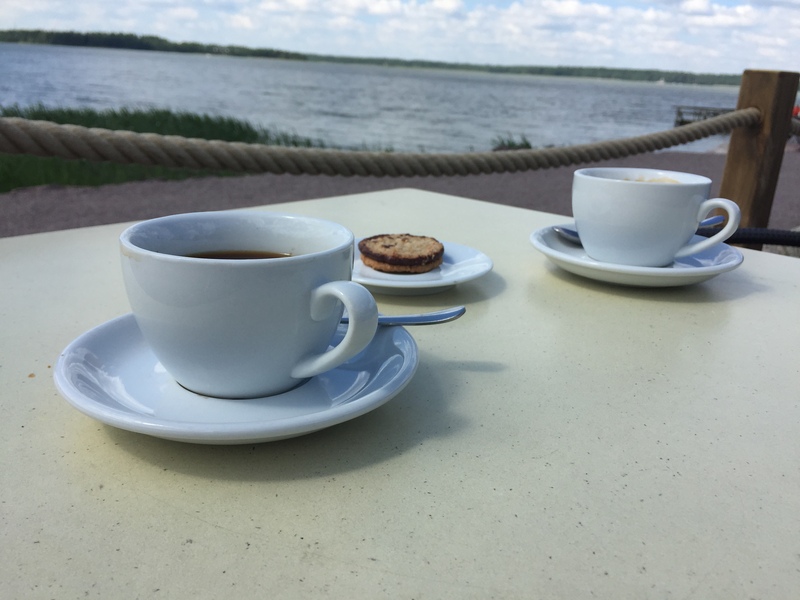 I also listed 5 challenges faced by remote workers as identified by Jeff Robbins, the first of which was the lack of non-verbal communication. This, I would suggest, can be a barrier to building trusting relationships with clients, and managers. Face to face connection by the Baltic Sea! As I speak with both remote workers and their managers, a common piece of advise offered is, whenever possible, build in face to face time before the hire, during the process, and on an on-going basis after the contract has been signed. Yes, this adds to the financial cost of doing business, but it is money well spent in order to build a solid foundation of trust. ‘The importance of non-verbal communication‘, a blog created by ethos3 provides excellent insight, and tips, on how to increase your non-verbal communication when speaking in public…presenting, negotiating, leading meetings, in fact anytime you are face to face and wanting to clearly communicate both a message and build trust with your listeners. When in the recruiting and selection process, the difference in a person from what I have imagined through cover letters, resumes, or even phone conversations, to when we actually meet face to face in an interview never ceases to amaze me. Not only does a face to face interaction remove the screen that can hide the tell tale signs of exaggeration, or dare I say, out right lies, but it can provide a lovely opportunity that opens the door to connect on a level that lets me see the gem shrouded on the pages of documents submitted. It would be a mistake to think that because you’ve had this f2f connection, you’ve covered all the bases…three months down the road you may again see an even different person! However, this is a great first step that is crucial for subsequent interactions that will result in a successful, right-fit hire. A commitment to building trust through face to face doesn’t end once a connection has been made…it needs to be fostered in order to realize continued growth and development. In a conversation with Clint Schnee (founder & designer UXperts), he shared from his remote worker management and support experiences. His advise? “Following initial on-boarding face to face interactions, the maximum amount of time to wait between such times is 6 months.” This applies no matter where the employee is located around the world. He went on to say that “any longer than that and you will see the attrition and turnover rate greatly increase”. While challenging, I do love the fact that as humans we still thrive when in face to face community with others, making those trusting connections…a practice worth striving for and fostering. This entry was posted in working remote, Working remotely and tagged autonomy, business, development, HR, international, Remote, Training, Trust. It’s been a while since my last blog. There are a couple of reasons for that…not the least of which being absorbed in prep for teaching my business students. One key reason is tied in with the never-ending question regarding what to write about. I can think of lots of things to say when I’m nowhere near a computer (and have just had a great cup of coffee! ), or don’t have time to gather the scattered thoughts into some semblance of order. However, when a pause in my schedule presents itself, I still need to find that focus. from wherever he happens to be…although that in itself presents problems when depending on the strength and availability of Internet connections. (I digress…). On the day they packed up the vehicle to head off on their adventure, my daughter-in-law handed me a class jar with a twig stuck in it and ask that we take care of it. Now, you have to know that our grandkids are home schooled, and are getting the most amazing education imaginable…everything becomes a teachable moment in the family, even the unending collection of ‘nature’. So, when I asked what ‘it’ was, Crystal immediately said, ‘It’s an oak tree’. After a good chuckle, I had one of those ‘hmmm’ moments. 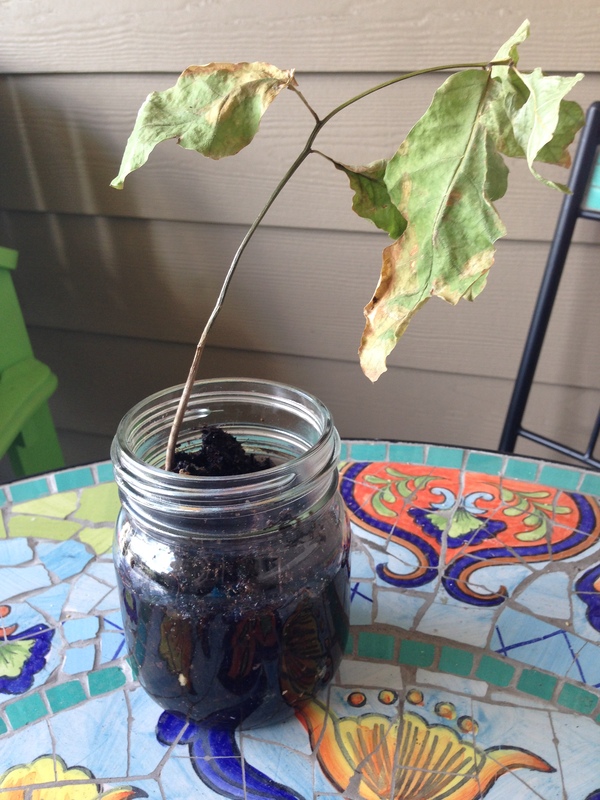 I saw a dried up twig with a couple of pathetic looking leaves clinging for dear life, Crystal saw beyond that to what it would become…a mighty oak tree with potential far greater than what we could even begin to imagine. I’m passionate about training and development, but for me it goes well beyond the material created or the skills taught…it’s about the outcome; it’s about the people involved in the training and development. The potential is there, it simply needs to be fed, watered, perhaps pruned, and planted in an environment where it will be encouraged to growing into…who knows? One of the reasons I love teaching and working with young business leaders is because I get to be in on the ground floor of their journey. I have the opportunity to help them see who they are and what they have to offer. I love to see the light bulbs go on as they discover their innate strengths and struggle through the questions of ‘so what?’ I love the challenging questions they present as the result of critically thinking through some theory that makes sense on paper but somehow falls short of what they have already discovered in the work world…and life in general! I love to chat with them after they have completed their first life chapter of formal training, and hear the passion bubble up as they share what’s been happening and the opportunities that they have embraced. I love seeing the ‘twigs’ grow into ‘oak trees’. people we choose to spend time with to foster that potential? What do we do when ours’, and others’, potential is being squashed? So much to probe and ponder! This entry was posted in Uncategorized and tagged business, development, passion, potential, purpose, Training, why, young leaders. Who is my focus when training? Lessons learned…again! Eagerly waiting to present ‘learner centred’ style. I spent one week this summer facilitating workshops that focused on learner centered instruction. The audience was a group of 22 professors visiting from China who wanted to learn more about what the post secondary classroom looks like in Canada…specifically the learner centered approach. This was an amazing opportunity for which I am so grateful, and hope to do again! I’ve done a great deal of curriculum designing. As I go through the process, I am always conscious of the fact that the audience represents a variety of knowledge levels and therefore the need to include some form of prior learning assessment is vital. However, the preparation and delivery of this material to our Chinese visitors required that I take all my concepts and explain them in ways that would translate across language. No buzz words, no acronyms, no idioms, and no making assumptions about their frame of reference. 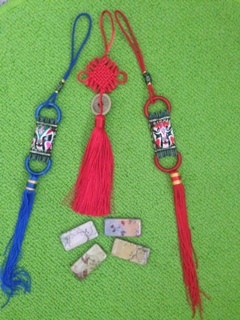 Beautiful gifts from China. Thanks! Unfortunately, the reality of this didn’t fully hit until I was in the midst of presenting and realized that the confused looks were not only caused by a language barrier, but also by conceptual differences in how we approach education. For example, discussing the challenges of having young learners (18-22 yrs) and mature learners in the same class made no sense to them…they would never have the ages mixed to start with! I also learned that it was fully acceptable to put your head down and have a nap if you were tired…nothing personal! I was so thankful that one of the professors was quite fluent in English, so together we navigated the murky waters using all of our senses, including a lot of laughter, to catch a glimpse of what learner centredness is all about. In fact, the whole process became a living example of how we, as facilitators of learning, must focus on the needs of the learner if we are to develop individuals who can think critically, work collaboratively, communicate effectively, and be the creative innovators our institutions and organizations need. These questions apply whether I am teaching my business students, or facilitating training and development for a group of business professionals. What are some of your ponderings around this topic? This entry was posted in Uncategorized and tagged autonomy, development, international, learner centred, why. My mind is full! The last 2 days I attended a conference on the flipped classroom. www.techsmith.com/education-flipped-classroom.html It’s a great practice that has already proven to be effective in all levels of education; however, flipping a classroom isn’t as easy as flipping a switch! It takes time and a lot of preparation. Let me paint a picture of what ‘flipping’ might look like in the course of living and learning. 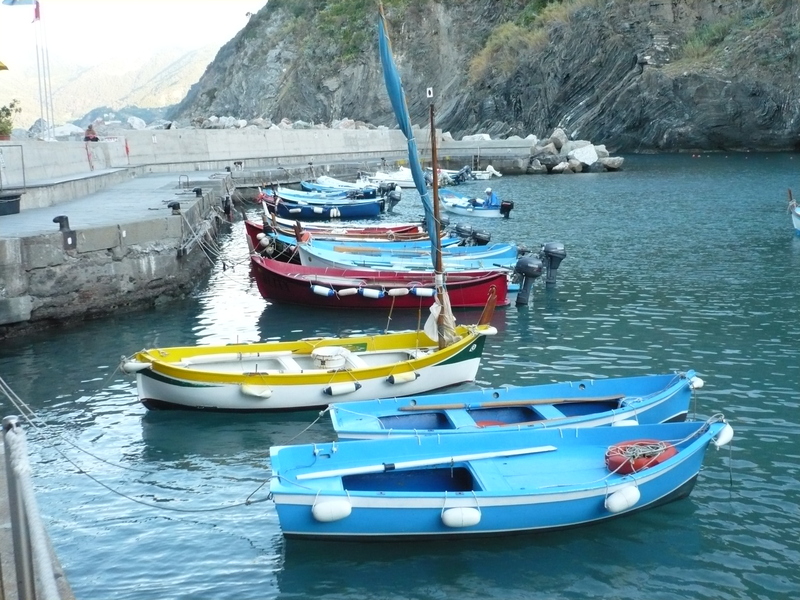 places as Florence, Cinque Terre, Rome, Santorini, and Barcelona. Together we decided where we wanted to go for a holiday, and the general mode of travel (flights, trains, hikes, cruise ship…). Once the dates were decided, some of us took a back seat and simply dreamed of what we would experience. However, two of the guys dedicated hours of research time looking at and planning where we would visit, must see attractions, restaurants, and even the best places to buy certain local products. When we arrived at the destinations, Dennis and Dennis (we named them D ‘n D Travel) were prepped and ready to learn the secrets of the historical wonders we visited. They knew the history, the stories behind the cultural landmarks, and were able to deepen their discoveries by adding their prior knowledge to the in-person experience. The rest of us still had a fantastic vacation, at times weary from sensory overload, but I feel fairly confident in saying that the two who spent time gaining a base knowledge before going, walked away with even greater appreciation of our experience. Their learning was ‘flipped’…rather than waiting for the travel experience to learn about the culture and attractions, they watched Rick Steeves www.ricksteves.com, did Internet research, talked to others who had visited Europe previously, and even created our personal travel itinerary! They laid the foundation for experiential learning to build on, and helped the rest of us appreciate elements that we may have overlooked. Back to training and development. My formal teaching context is in post secondary, but I am also involved with training and development in business; this happens in boardrooms, or even in coffee shops! Does this idea of ‘flipped’ apply in those non-traditional settings? I would say so. At the start of the conference participants were reminded to ask a very important question: What should students be doing inside the classroom, and what should they be doing outside the classroom? With our employees and teams, what T & D can take place on their own through reading, webinars, or on-line courses, and what skills need the face-to-face interaction with a facilitator or trainer? We need to think about the hardest thing (skill, ability…) that will be required of them, and make sure face-to-face time is dedicated to help facilitate that learning. If the learning calls for face-to-face interaction, what learning activity can they do ahead of time so that they come prepared for full engagement? Let me offer a simple example. You have a team that is experiencing conflict, but is at a loss for how to effectively resolve it. How can ‘flipped’ learning be applied? You invite everyone to a short team building session aimed addressing conflict resolution. One week prior, you send a link describing a conflict resolution process that you have found to be effective, or a YouTube video that demonstrates that process. You ask that everyone take time to look at these resources before coming to the team building session. In the face-to-face time have participants summarize what they read/watched, and then put the process into role-play action, providing examples of conflict areas experienced in the industry. Make the training time long enough for participants to become comfortable with the process, but short enough to make good use of their valuable time. Don’t forget follow-up…close the loop by soliciting feedback on the effectiveness of the whole training experience. So what has happened here? Your team members learned the ‘theory’ outside of the ‘classroom’, allowing the face-to-face experience to focus on the application of the learning; you ‘flipped’ the training. Whether you are a teacher or a person tasked with leading a team, training and development is a key element in the growth of your people. Let me challenge you to try something that may be a little bit outside of the box…flip the learning experience! This entry was posted in Uncategorized and tagged development, experiencial learning, flipped, Training, travel. 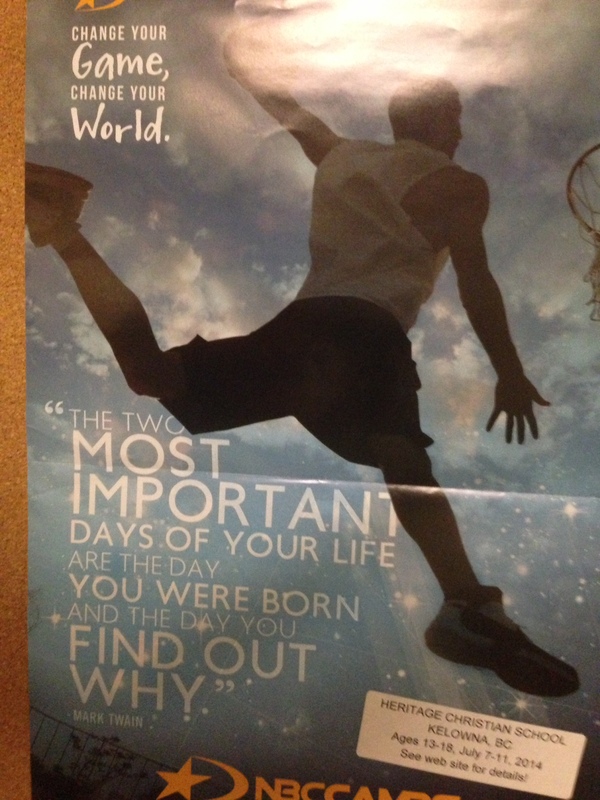 I saw a basketball camp poster a couple of weeks ago that really got my attention…so much so that I went back yesterday and took a picture of it! Can you read the caption? Think about the impact of this statement; your parent’s life was changed the day you loudly announced your arrival into their world, and your own life was (hopefully) changed the day you found out why your presence in this world has such incredible value! I always seem to keep coming back to ‘why?’ Such a simple word, but the mysteries it uncovers are endless. So, once again, what does this have to do with training and development? Everything! In fact, answering your ‘why’, leads to a greater sense of autonomy, and that leads to intentionality in training and development. I think I’m getting ahead of myself. Let’s start with a conversation I had with my son around the area of autonomy. Our eldest grand daughter is 10, and she is demonstrating a beautiful aptitude for art; in fact she can get lost in her creations. When a piece is completed she shows it off with great pride and satisfaction. Faith’s life is inevitably going to be in the world of arts, so how can we help with her development and success? 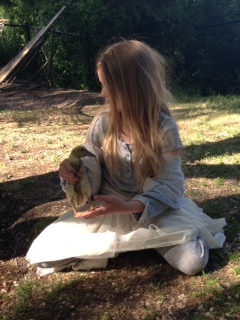 By helping her develop autonomy. At this young age she can already describe what she would like to do (granted, this will be fine-tuned over time), so why not work backwards from that end goal? What patterns of behavior, what activities, what mentors, what books, what travel…can Faith be exposed to that will grow and develop this innate talent that is emerging? What questions can we ask her to help her make decisions that will bring her closer to her goals? Can she already be taught that the decisions she makes at various stages of her life regarding activities, studies, healthy living, friendships, values, and so on, will give her a greater sense of mastery and control over what she can achieve? I believe so. You see, as individuals, self directed training and development is something that each of us needs to take responsibility for, and then act upon. This same process can be applied in the workplace, and in the classroom…more about that in the next blog. However, for now, you probably don’t remember much about that first ‘most important day’, but perhaps you can reflect on the second most important day of your life…why you were born. What is it that you can do to take responsibility to develop that amazing creation that is you into the person you were put on earth to be? Hmmm, lots to probe and ponder around that! This entry was posted in Uncategorized and tagged autonomy, creative, development, passion, purpose. ‘Watch and Wonder’ or ‘Experience and Engage’? In his book Talk Like Ted, Carmine Gallo quotes from Ben Sanders. So, are you a ‘watch and wonder’ or an ‘experience and engage’ person? I am totally an experience and engage type…just ask my traveling friends! So what does this have to do with training and development? More than you may realize. Think about your employees or students, would you describe them as being watch and wonder, or experience and engage folks? How does that impact the way they learn…how should it then influence the tools and techniques you use for training and developing? Let’s apply this to a lesson most of us have experienced at some point in our life…learning to ride a bike. Many options are available: read a manual, watch a YouTube video, and listen to someone explain, watch someone demonstrate, or get on a bike and figure it out. Your style of learning could be any one of these, or a combination of techniques. 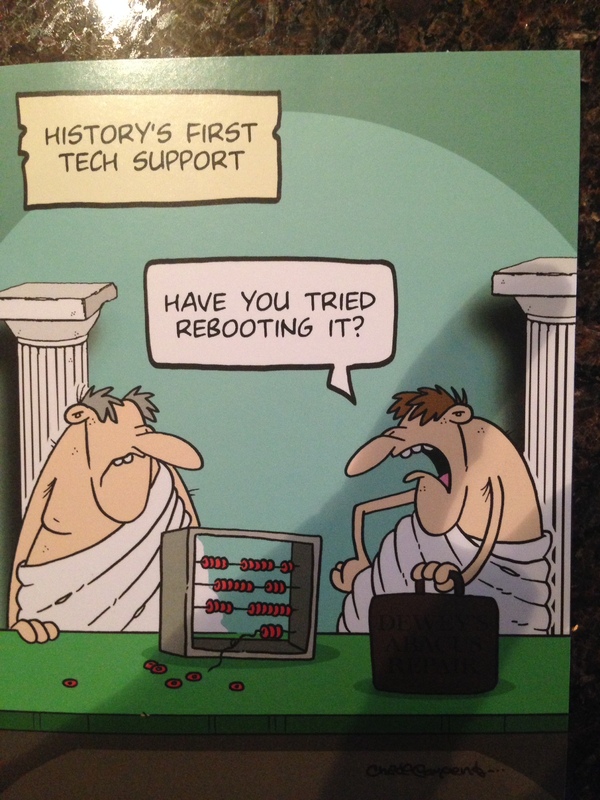 What about other topics like conflict resolution or learning to use a new piece of technology? All the options exist, but already you can identify which would be most effective for you. Think about a skill that you know your employees or students need to acquire…got something in mind? Great, now take a few minutes and consider all the ways that skill could be taught. Next, think about your audience, how do they learn best? You will probably need to think of a combination of learning activities in order to address everyone, but the results will be well worth the effort. So what about the way I was ‘encouraged’ to learn that frescoes were not to be touched? I did learn the lesson, but I was publicly reprimanded and embarrassed. Did I already know that I shouldn’t touch? Probably to some degree, but did I fully understand why? Not really. 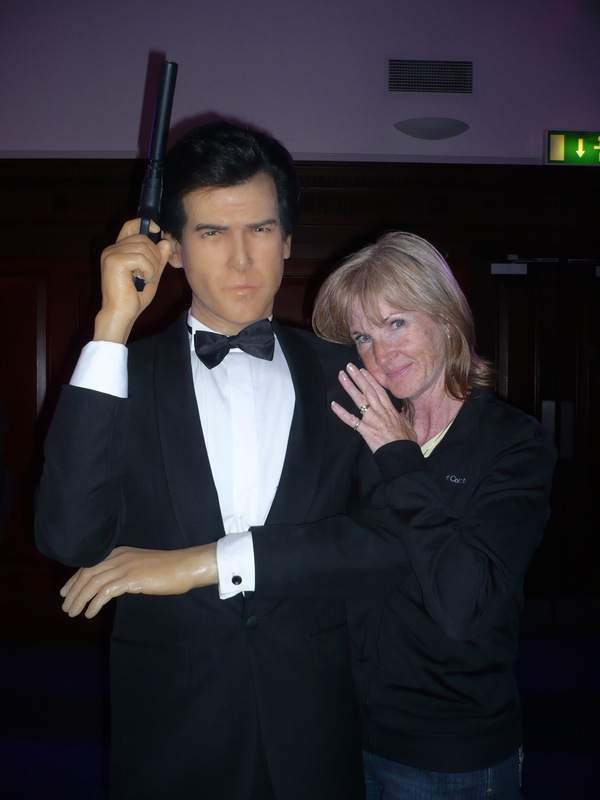 OK, so hugging Pierce Brosnon’s waxed statue may have bent the rules a little! I admit that I am a tactile learner, and I also have to admit that I selectively adhere to rules…when they don’t make sense to me! Would my actions have been different if I had received appropriate information before hand? Absolutely! Is this a teaching style engaged in the classroom or workplace? Sadly I have seen and experienced the technique in both places…with devastating effects. Let me encourage you to become an ‘experience and engage’ facilitator of learning. Next time you have the opportunity to provide a learning experience, think through the how and why, then let the creative juices start to flow! This entry was posted in Uncategorized and tagged development, experience, learner centred, learning, motivate, Training, travel.